The New Horizons International Music Association (NHIMA) is a worldwide organization comprised of more than 250 New Horizons groups with 10,000 members. Some played music during their school years and stashed their instrument in a closet, or attic while the demands of work and raising children took center stage. Others dreamt of being a musician but never had the opportunity, or the money to pay for lessons and instruments when they were school age. Both groups find themselves now at or near retirement with children grown and gone, fewer responsibilities, but just as much desire. The NHIMA provides opportunities for adults to be involved in a band – whether it’s for the first time, or the first time in a long time. Together we learn and perform in a friendly and positive atmosphere. For more information, please contact Helen Bailey at newhorizons@carrollwoodcenter.org. 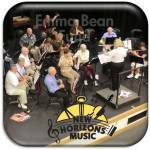 Helen is the director of the Tampa New Horizons Band at the Carrollwood Cultural Center. In addition to a Bachelor of Music degree from the University of Tampa, she has 28 years of teaching experience in secondary and elementary music for Hillsborough County Public Schools. She is a member of the New Horizons International Music Association, the National Association for Music Education (NAfME), the Florida Music Educators Association and the Florida Orchestra Association. She is also a member of the Florida Alliance for Arts Education and an alumni of Sigma Alpha Iota International Music Fraternity. For nine years, she developed and directed the strings program at Maniscalco Elementary. While there, she directed the Primary String Ensemble for the Hillsborough County Fine Arts Festival. 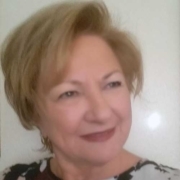 She served on the committee to write the elementary strings curriculum for Hillsborough County Schools and directed the strings program at Barbara Muller Elementary Magnet School for Performing Arts and Environmental Sciences until her retirement in 2016. Currently, she performs with the South Shore Symphony Orchestra in Sun City, Fanfare Concert Winds at Hillsborough Community College and the Wesley Chapel Wind Ensemble. She also performed in a production of Chicago, The Musical, at numerous churches in and around Hillsborough and Pinellas County. Additionally, Helen participates and volunteers for performances in her community. Making music is a way of making vital connections to life. Helen is an advocate for expanding music making opportunities for adults in a positive environment. Many adults need beginning instruction in order to participate in music making. The Tampa New Horizons beginning “Green Band” serves that need.